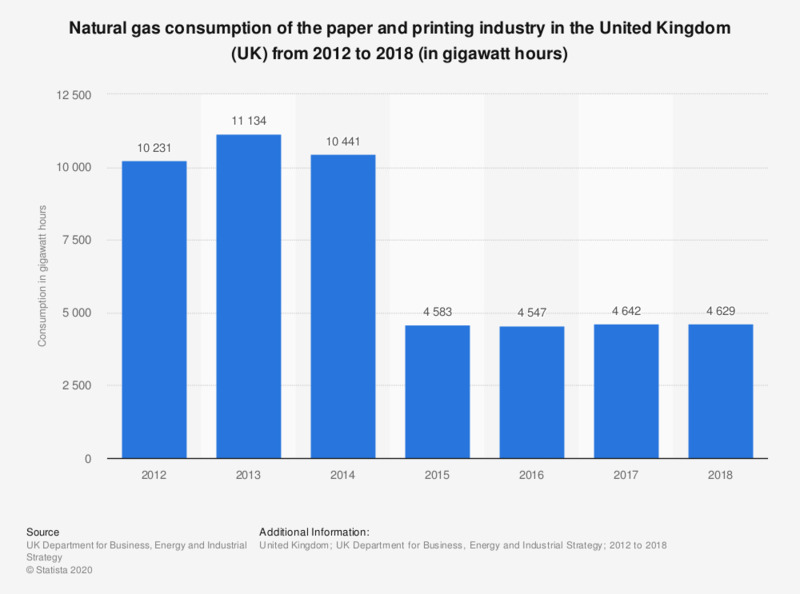 This statistic shows the consumption of natural gas by the paper and printing industry in the United Kingdom (UK) from 2012 to 2017, in gigawatt hours. In 2017, the consumption of natural gas by the paper and printing industry totaled 4,545 gigawatt hours. This was an increase from the previous year.